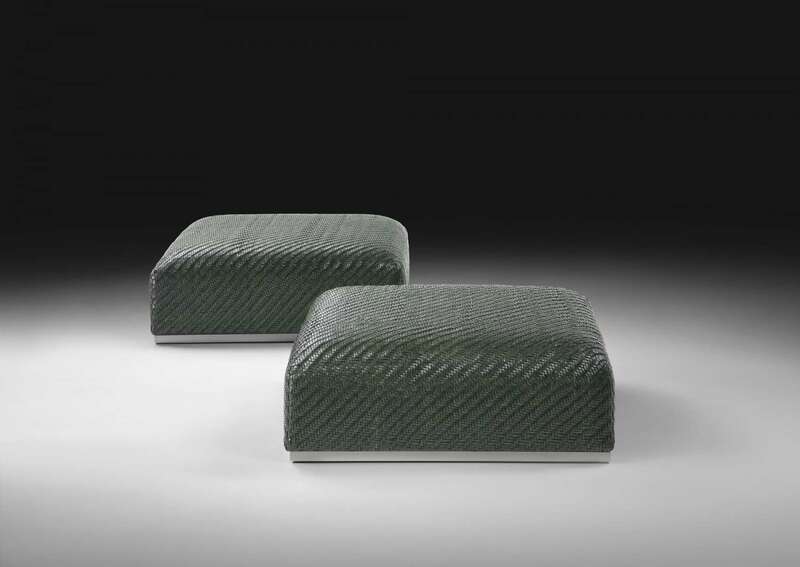 CARMEN is a large square ottoman, covered with a particular herringbone cowhide weave that gives the surface a three-dimensional texture of great aesthetic impact. It rests on a wooden base and adds a forceful presence to any large space. 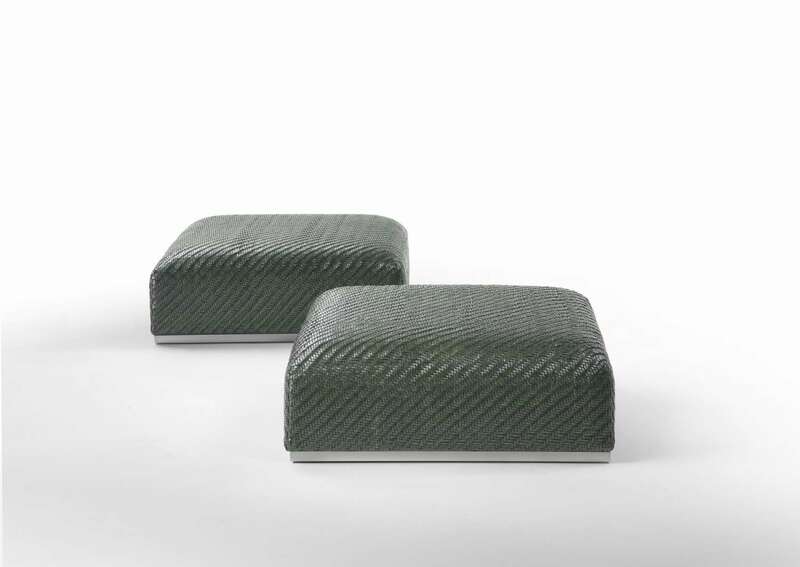 CARMEN brings character and comfort to residential living rooms, but also the lounges of elegant hotels.